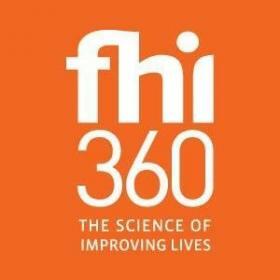 FHI 360’s Crisis Response Team (CRT) is seeking a WASH Coordinator to lead the WASH component of an integrated humanitarian health and WASH program based in Beira, Mozambique. The WASH Coordinator is responsible for developing and leading technical programming and plays a critical role in ensuring the organization’s emergency programming is responsive to the needs of natural disaster-affected populations in Mozambique. He/she will ensure humanitarian activities are evidence-based and adhere to technical standards for the field, and as circumstances demand, engage at all stages of an emergency, from the initial acute phase through to transition and recovery, and will support technical programs from assessment and conception through close-out and evaluation. Lead the WASH component of the Mozambique cyclone response program, with the goal of improving the well being of affected communities through access to safe and adequate water, improved sanitation facilities and improved hygiene practices. Bachelor's Degree or its International Equivalent • Economics, Education, Environment, Health, Human Development, Information Science, International Development, Social Sciences or Related Field. For technical specialties in health and nutrition a Medical Degree (MD) or Registered Nurse (RN) with experience in primary health care and acute malnutrition response, or related technical field required. Typically requires 5-8 leading complex on site emergency response projects and/or programs experience in managing emergencies, including first-phase response operations. Significant background in managing humanitarian response initiatives, as well as community-based emergencies. Knowledge and application of Office of US Foreign Disaster (OFDA) and US Department of State Bureau of Population, Refugees, and Migration (State/PRM) preferred. Skilled in developing responsive, evidence-based program designs, including budget development. Knowledge of USAID/OFDA proposal guidelines essential. Demonstrable experience designing and leading technical assessments using methodologies such as SMART and SQUEAC; strong background in outcome monitoring and evaluation preferred. Familiar with and abide by Red Cross/Non-Government Organization (NGO) Code of Conduct. Experience coordinating complex programs with wide variety of stakeholders; experience as cluster co-lead preferred. Breadth of geographic experience preferred. Programming in emergencies, including first-phase response operations; breadth of geographic experience preferred.